Mr. Stark is a renowned ballet teacher and coach and has been called “Ballet’s Pied Piper” by the Sarasota Herald Tribune. His students are dancing in companies including New York City Ballet, Stuttgart Ballet, Dutch National Ballet, Royal Danish Ballet, National Ballet of Canada, American Ballet Theatre and Paul Taylor Dance Company, among others. Mr. Stark’s students have moved on to full merit scholarships in dance academies including the School of American Ballet, Stuttgart Ballet, and the Royal Ballet School of England. He has coached gold medal winners for International Ballet Competitions (IBC) in New York City, Cape Town, Seoul and Helsinki. Additionally his students have won the Grand Prix at the Youth America Grand Prix New York finals, the Princess Grace Award, audience favorite at the Prix de Lausanne, and best male dancer at the Eric Bruhn Competition. Stark was named outstanding teacher at the 2014 New York finals of Youth America Grand Prix and has four times lead academies to be awarded outstanding school in previous years. Stark’s professional mentor and coach was Fernando Bujones who hired Stark as assistant to the artistic director at Ballet Mississippi and later as school director at Orlando Ballet. He has staged the works of Mr. Bujones. Stark lead Orlando Ballet School for a decade expanding it to four locations, founding Orlando Ballet II and was twice haled in The New York Times where his students were called “breathtaking” and noted for displaying “a joyous appetite for movement.” He is the founding artistic director of Next Generation Ballet (NGB) in Tampa. NGB has grown to have an international reputation winning many awards and accolades. Stark co-presented four annual ballet galas with Youth America Grand Prix including “Ballet’s Greatest Hits” that was streamed to movie theaters internationally and hosted by So You Think You Can Dance judge Nigel Lythgoe. Stark staged/choreographed a series of critically acclaimed full length ballets including Cinderella, The Nutcracker, Swan Lake, Sleeping Beauty and Coppelia. Original children’s ballets include Snow White and Rumpelstiltskin. This repertoire has been danced by organizations including Washington Ballet, Orlando Ballet, Next Generation Ballet and Central Pennsylvania Youth Ballet. Stark was on faculty at BBSI in 2016 and 2017. Mr. Soto is half Navajo Indian and half Puerto Rican, was born in Gallup, New Mexico, and raised in Phoenix, Arizona. At the age of five, he began studying ballet with local teachers after seeing a television special featuring Edward Villella in the Rubies section of George Balanchine’s Jewels. Mr. Soto continued his studies at the School of American Ballet (SAB), the official school of New York City Ballet. While at the School, Mr. Soto danced the role of “Luke” in Peter Martins’ The Magic Flute, which was choreographed for the School’s 1981 Workshop performances. That year, Georges Balanchine invited him to become a member of the Company’s corps de ballet. In June 1984 he was promoted to the rank of soloist, and one year later, he became a principal dancer. Mr. Soto’s extensive repertory includes featured roles in many of George Balanchine’s ballets, including Agon, Allegro Brillante, Brahms-Schoenberg Quartet (first, third, and fourth movements), Bugaku, Cortege Hongrois, Danses Concertantes, Donizetti Variations, Episodes, Firebird, The Four Temperaments, George Balanchine’s The Nutcracker, Glinka Pas de Trois, Rubies from Jewels, Kammermusik No. 2, Liebeslieder Walzer, A Midsummer Night’s Dream, Movements for Piano and Orchestra, Mozartiana, Orpheus, Robert Schumann’s Davidsbundlerdanze, Scotch Symphony, La Sonnambula, Stars and Stripes, Stravinsky Violin Concerto, Symphony in C, Symphony in Three Movements, Tschaikovsky Pas de Deux, Union Jack, Vienna Waltzes, and Western Symphony. He has also danced featured roles in a number of ballets by Jerome Robbins, including Afternoon of a Faun, The Cage, Dances at a Gathering, The Four Seasons, Glass Pieces, I’m Old Fashioned, In the Night, Moves, Opus 19/The Dreamer, and West Side Story Suite, as well as Peter Martins’ Barber Violin Concerto, Swan Lake, Symphonic Dances, and Valse Triste, and Robert La Fosse’s Concerto in Five Movements. Mr. Martins has created principal roles on Mr. Soto in a number of his ballets, including Adams Violin Concerto, Bach Concerto V, Concerto for Two Solo Pianos, Delight of the Muses, Ecstatic Orange, Fearful Symmetries, A Fool for You, Guide to Strange Places, Harmonielehre, The Infernal Machine, Jazz (Six Syncopated Movements), Morgen, A Schubertiad, Sinfonia, Songs of the Auvergne, Them Twos, and Thou Swell. During New York City Ballet’s Spring 1988 American Music Festival, Mr. Soto originated featured roles in Mr. Martins’ Black and White, Robert Weiss’s Archetypes, Laura Dean’s Space, and Jean-Pierre Bonnefoux’s Five, and performed in Richard Tanner’s pas de deux Sonatas and Interludes. In addition, he originated roles in Miriam Mahdaviani’s Urban Dances; Kevin O’Day’s Huoah; Mr. Tanner’s Ancient Airs and Dances, Operetta Affezionata, and Schoenberg/Wuorinen Variations; Lynne Taylor-Corbett’s Chiaroscuro; Christopher Wheeldon’s After the Rain, Liturgy, Mercurial Manoeuvres, Morphoses, Polyphonia; Shambards, and Slavonic Dances; and Damian Woetzel’s Ebony Concerto. Mr. Soto has appeared as a guest artist with the Kirov Ballet in Jewels in 2003 and at the Bolshoi Theatre with stars from New York City Ballet and American Ballet Theatre in 2003. In addition to his guest appearances, Mr. Soto has staged numerous ballets around the World, including works by Balanchine, Robbins, Martin, and Wheeldon, and many more. Mr. Soto’s television appearances with New York City Ballet include five Live from Lincoln Center broadcasts on PBS: “A Choreographer’s Notebook: Stravinsky Piano Ballets by Peter Martins,” “Balanchine’s A Midsummer Night’s Dream, “Swan Lake” choreographed by Mr. Martins; Ray Charles in Concert with the New York City Ballet, reprising his role in A Fool for You; New York City Ballet’s Diamond Project: Ten Years of New Choreography, dancing in Chiaroscuro, Mercurial Manoeuvres, and Them Twos; and Lincoln Center Celebrates Balanchine 100, dancing in Liebeslieder Walzer. 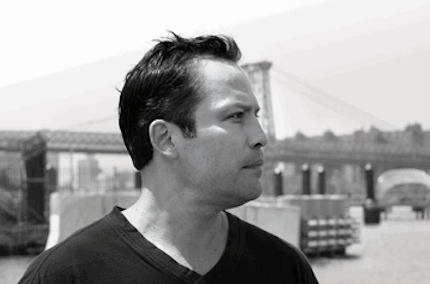 Mr. Soto also appeared in Mr. Bonnefoux’s Five, as part of the Guggenheim Museum’s Works in Process series on PBS. He has appeared on seven episodes of Sesame Street, including three in which he appeared with former NYCB principal dancer Lourdes Lopez. Mr. Soto was a celebrity guest-chef on the TV Food Network’s Talking Food, hosted by Robin Leach, and has appeared as a celebrity judge on Channel 13’s Masterchef. He has also been featured on A&E’s Breakfast with the Arts as Artist of the Week. In addition to his performing career, Mr. Soto served as a member of SAB’s permanent faculty from 1996 to 2015. Mr. Soto serves as a visiting instructor at Banff Centre for the Arts for the Indigenous Dance Residency program. He has also been invited to teach at prestigious dance departments in colleges and universities around the country such as Washington University, Oklahoma State, and many others. Mr. Soto was the recipient of the Casita Maria Award for Hispanics and The First Americans in the Arts Trustee Award. Friends In Deed recognized Mr. Soto for his patronage of AIDS research, and in 2002, the School of American Ballet presented him with the Mae L. Wein Award for Distinguished Service. During the 2017 New Mexico State legislative session, Mr. Soto received the State’s Certificate of Appreciation from Senator John Pinto for his contribution to the arts. Mr. Soto resides in Eagle Nest, NM with his husband Luis Fuentes and his pet beagle “Bandit”. Our Meals, a cookbook written by Mr. Soto and former NYCB principal dancer Heather Watts, was published by Riverhead Books in 1997. Water Flowing Together, a feature documentary on Mr. Soto was aired on PBS in 2006. Every Step You Take, Mr. Soto’s critically acclaimed memoir, was published by Harper Collins in 2011. Soto was on faculty at BBSI in 2018. Mr. Rogers was born in Virginia in a southern military family. He began his early training at the age of nine in Germany under Maureen Gergun, a former Soloist from the Royal Ballet in London. Rogers then continued his formation at the Olaker Youth Civic Ballet in Chester, Virginia, under Christine Parks, an original member of the Ballet Society, which became the American Ballet Theatre. Rogers was awarded full scholarships to the School of American Ballet in New York where he trained under renowned teachers Stanley Williams, Andrei Kramirevsky and Richard Rapp. On another full scholarship at the National Academy of Arts in Illinois, he completed his formation in the Vaganova, Bournonville and Cecchetti techniques, working with such great teachers as Petrus Bosman, Georgina Parkinson and Valerie Taylor of the Royal Ballet and Francesca Corkle of the Joffrey Ballet, Larissa Skylanskya, Flemming Halby and Toni Lander and Erik Bruhn of The Royal Danish Ballet. The honor being one of the first recipients of the prestigious Princess Grace Foundation Award for Artistic Excellence in dance, ultimately lead Rogers to a long career as Principal dancer with Ballet West in Salt Lake City under the artistic directorships of Bruce Marks, John Hart and Jonas Kåge. 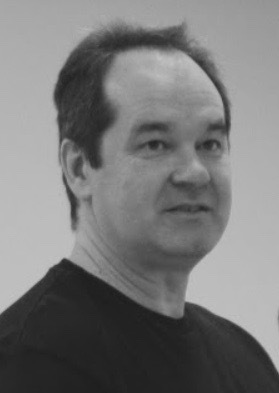 Rogers has danced all of the major principal roles in the classical repertoire from Albrecht to Siegfried as well as in the best contemporary works by renowned choreographers including Val Caniparoli’s The Lady of the Camellias and Lambarena, John Neumier’s Age of Anxiety,Eugene Loring’s Billy the Kid, John Butler’s Carmina Burana, Paul Taylor’s Company B, Antony Tudor’s The Leaves are Fading, Hans Van Manen’sPolish Pieces, and William Forsythe’s Artifact II. Currently a Principal teacher the Ballet West Academy, company teacher for Ballet West, and a Master Teacher and Judge for the world renowned YAGP, he has also been an adjunct professor for the University of Utah’s Dance Department. Rogers also teaches at companies and schools nationally and internationally. His most current guesting was at Staatliche Ballettschule in Berlin. Rogers was on faculty at BBSI in 2018. Mr. Frenette was born in Vancouver, Canada in 1994. He began his early training at the Goh Ballet Academy under the instruction of Ms. Fiona Smith. In 2008, his family relocated to California to further his professional ballet training with former ABT dancer Chris Martin and former Bolshoi Ballet Theatre dancer Dmitri Kulev. Patrick was a two-time recipient of the Senior Grand Prix award at the Youth America Grand Prix’s regional competitions. In 2011, he was also awarded the Mary Day award for Outstanding Artistry, and in 2012, he received second company offers to the Washington Ballet, Houston Ballet, and American Ballet Theatre. Mr. Frenette was awarded tuition scholarships to attend many professional training programs, including the JKO School at American Ballet Theatre, The San Francisco Ballet School, The Royal Ballet School, and The School of American Ballet, the official school of New York City Ballet. 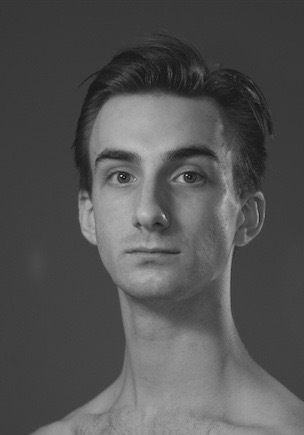 Patrick attended SAB from 2012 to 2013, and was selected to perform in both the fall and spring sessions of the New York Choreographic Institute. While at SAB, Mr. Frenette was awarded The Rudolf Nureyev Foundation Scholarship. 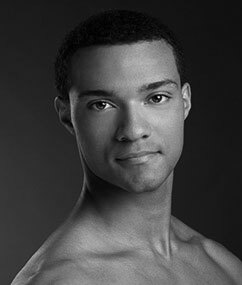 Patrick studied with esteemed teachers Jock Soto and Suki Schorer and graduated in the spring of 2013, performing a principal part in George Balanchine’s Divertimento No. 15. Frenette joined ABT as an Apprentice in 2013 and became a member of the Corps de Ballet in January 2014. 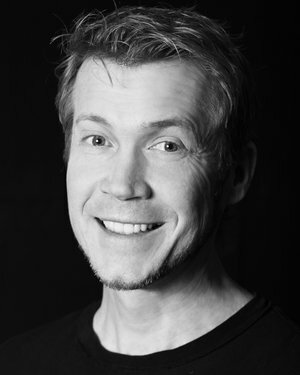 His repertoire includes Wilfred in Giselle, Recruit, Bees, and Russian in Alexei Ratmansky’s The Nutcracker, a role in Mark Morris’ After You, Spanish in Swan Lake, Harlequin Doll in Coppélia, Flute Boy, Notary’s Clerk, and The Cockerel La Fille mal gardée, Persian Men in The Golden Cockerel, Herald and The Canary Fairy Cavalier in Alexei Ratmansky’s Sleeping Beauty, Coffee Guards in Alexei Ratmansky’s Whipped Cream, one of the Three Ivans in Alexei Ratmansky’s Aurora’s Wedding, and roles in all of the Company’s full-length ballets. He originated featured roles in Praedicere by Michelle Dorrance, Songs of Bukovina by Alexei Ratmansky, and Dream within a Dream (deferred) by Michelle Dorrance. Mr. Frenette’s performances with American Ballet Theatre are sponsored by Harlan M. Blake and Lisa Rose. Patrick has performed in variety of galas including the Anaheim International Dance Festival, the International Ballet Festival of Miami, the YAGP Stars of Today meet the Stars of Tomorrow, and the Indianapolis City Ballet’s Young Stars of Ballet, which was filmed and nominated for an Emmy in 2012. Patrick performed in the celebrated Nantucket Dance Festival in 2015 as well as Festival Ballet Theatre’s Stars of Ballet Gala. Patrick performed in the 2017 Fall for Dance North, a celebration of Canada’s 150th year, in the World Premiere of Robert Binet’s “Children of Chaos”. He appears in the 2018 short film by rag & bone, “WHY CAN’T WE GET ALONG”, directed by Benjamin Millepied, Aaron Duffy, and Bob Partington. Patrick is featured in the film by Scott Gormley and NuArts Productions, “Danseur”. Mr. Frenette performed the Grand Pas Classique Pas de Deux in the 2018 American Dance Competition Awards Gala of Stars. Patrick was on faculty at BBSI in 2016, 2017, and 2018. He also taught at BBSI’s predecessor, the 2015 Boys Only Workshop. Mr. Ponomarenko is a graduate of the Kiev State Ballet School in Ukraine. Upon graduation he performed, taught company classes and was a Rehearsal Master for the Dance Company of the Soviet Army. Mr. Ponomarenko performed and toured internationally as a Soloist with the Donetsk State Opera and Ballet Theatre. His repertoire with the Donetsk State Opera and Ballet Theatre includes Principal roles in Giselle, Swan Lake, La Bayadere, Le Corsaire, Don Quixote, Nutcracker and Sleeping Beauty. 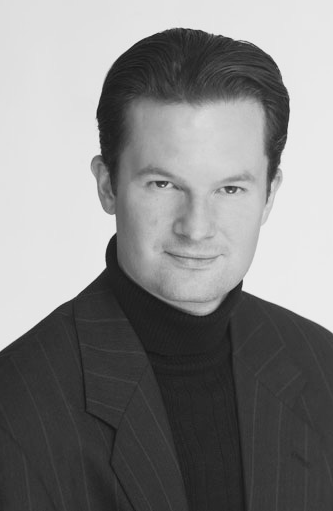 In 2009, Mr. Ponomarenko became Executive Director and Instructor for the Academy of Classical Ballet at Dance Elite in Pennsylvania. Along with his wife, Nadia Pavelenko, he directed the school. Many of his former Academy students are currently members of professional ballet companies such as Texas Ballet Theatre, Austin Ballet, Ukraine National Ballet, Donetsk Ballet Theatre, Ballet Manila, Missouri Contemporary Ballet, Ajkun Ballet Theatre. His students have received scholarships to prestigious programs and colleges as American Ballet Theatre, School of American Ballet, Boston Ballet, John Cranko School, Houston Ballet, Kirov Ballet, Harid Conservatory, Point Park University, Boston Conservatory and Pace University. Mr. Ponomarenko is the Ballet Master at International Ballet Academy as of 2017. Prior to joining International Ballet Academy, Mr. Ponomarenko was an instructor in the Men’s Program at Ballet West Academy in Salt Lake City, Utah. Ponomarenko was on faculty at BBSI in 2018. 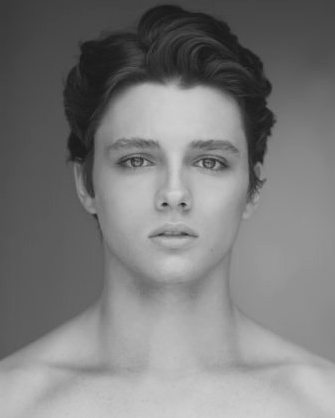 Born in Raleigh, North Carolina, Cameron McCune began his ballet training at the age of 8 at the Raleigh School of Ballet under the direction of Mary LeGere. He joined the school’s pre-professional company, Raleigh Dance Theatre, at age 13, and began studying privately with Gyula Pandi the next year. McCune attended summer programs at the Raleigh School of Ballet, Miami City Ballet, and the School of American Ballet, and won a silver medal at the Youth American Grand Prix Finals in 2012. McCune joined ABT as an Apprentice in 2013 and the Corps de Ballet in January 2014. His repertoire includes Village Notary in La Fille mal gardée, the Young Soldier in The Green Table, Spanish Dance, Recruit, and Bees in The Nutcracker, a Fairy Cavalier in Ratmansky’s The Sleeping Beauty, leading roles in Symphonic Variations and Thirteen Diversions, and featured roles in The Brahms-Haydn Variations and Songs of Bukovina. This will be McCune’s first year on faculty at BBSI. Prior to returning to MYB as Artistic Director, Mr. Muñoz completed 14 seasons as Principal Teacher at Orlando Ballet School where he created a successful men’s program as well as the academy all-day program for talented students. After an exhaustive nationwide search, he was named the incoming MYB Artistic Director in the spring of 2017 and was the unanimous choice by the Board of Directors to carry on the institution’s mission. 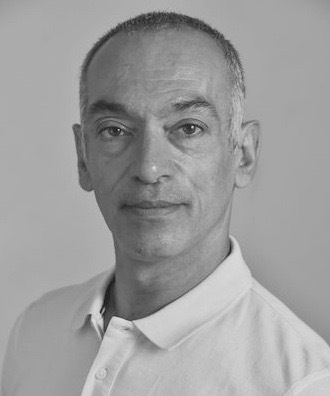 In addition to his work at Orlando Ballet School, he is a certified professor of dance from the French Ministry of Culture and has also received an American Ballet Theatre (ABT) Affiliate Teacher Award where he is certified in all levels of the ABT curriculum. He has served on panels for the U.S. Department of Education’s National Foundation for the Advancements in the Arts and on various grant selection committees. Since 2001, he has been a sought-after coach for the Youth America Grand Prix (YAGP) Dance Competition and has been awarded Outstanding Teacher numerous times. Mr. Muñoz has coached gold medal dancers in international competitions and many of his former students are performing in professional companies all over the world. Mr. Muñoz began his studies at the National Conservatory of Dance in Lyon, France and then attended Rosella Hightower’s International Dance Center in Cannes. He is a 1981 Laureate of the Prix de Lausanne. As a principal dancer with the English National Ballet, the Cleveland San Jose Ballet, the Northern Ballet Theater, and a principal guest artist for Teatro alla Scala, the Tokyo Ballet, The Bolshoi Ballet in Moscow, Ballet Philippines, and Ballet Nuevo Mundo in Caracas, Venezuela, among others, he performed all the leading roles in the classical repertoire. Mr. Muñoz was involved in several movies including Blue Suede Shoes for PBS (1998), the Drew Carey Show (1997), Love in 4 Acts for PBS (1995), and has choreographed for Cleveland San Jose Ballet, Orlando Ballet School, and several Geoffrey Beene fashion shows. Muñoz was on faculty at BBSI in 2016 and 2017. Pardina is the former Artistic Director and Principal Instructor at the Nice Opera Ballet School. Pardina has lived in the United States since 1991. He taught at The HARID Conservatory for 20 years and has taught master classes throughout the world. Pardina has been a guest teacher at American Ballet Theatre and the Youth American Grand Prix, the world’s largest student ballet competition. A native of France, Pardina began his ballet training at age 10. His training included master teachers from the Paris Opera Ballet. The Nice Opera Ballet offered the 16 year old Pardina his first professional position and promoted him to the rank of Principal Dancer by the end of his first year. Pardina has toured with Rudolph Nureyev and worked closely with him as his understudy while working for the Nancy Ballet Theatre. He also danced and toured the world with major French ballet companies. Among his breakthrough roles, was his portrayal of Petrouchka, in Hommage a Diaghilev. He also received critical acclaim for his performances in Serge Lifar’s Phedra, Moses Pendleton’s Pulcinella, Birgit Cullberg’s Miss Julie and Hans Van Manen’s Songs Without Words, Five Tangos, and Septet Extra. His students have won major prizes at both national and international dance competitions and many are now principal dancers at some of the top ballet companies in the United States and Europe. Pardina is a former principal instructor at the Miami City Ballet School Pre-Professional Division, instructing students at the Advanced Level. Pardina was on faculty at BBSI in 2017. Born in Georgia, Curtis began his training at Metropolitan Ballet theatre in Alpharetta under Maniya Baredo. He attended summer intensives with Danita Emma and Momchill Mladenov in Syracuse New York, Orlando Ballet, as well as in Salzburg, Austria under Peter Breur. Mr. Curtis trained in Cary, NC at International Ballet Academy (IBA). He joined Carolina Ballet in 2015. Kiefer taught Weight Training at BBSI in 2017 and 2018. Mr. Chamblee was born in Wendell, North Carolina and began his dance training at the age of 14 at the Raleigh School of Ballet under Mary Legere and Pablo Perez. He continued his training at the International Ballet Academy in Apex, North Carolina from 2010 to 2013. 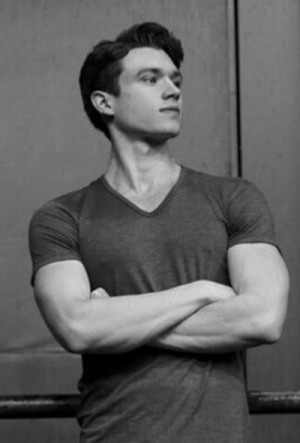 Mr. Chamblee studied at the School of American Ballet (SAB), the official school of New York City Ballet, during the 2012 and 2013 summer courses, and enrolled as a full-time student in 2013. He was named an apprentice with NYCB in August 2014 and joined the Company as a member of the corps de ballet in February 2015. Preston taught at BBSI’s predecessor, the 2015 Boys Only Workshop. Please note that faculty is subject to change.